Amazing New Go Pro Hero 5 Has Arrived!! 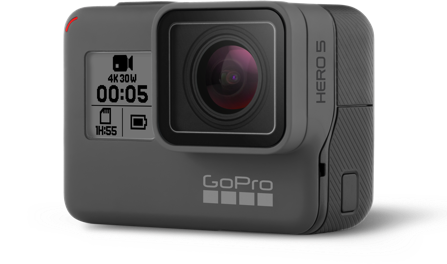 The HERO 5 Black has a 2-inch touch display to simplify the controls of the camera, but it all begins with a one-button control to power on the camera to start recording automatically. Once it is on, you can capture videos with resolutions up to 4K at 30 frames per second and professional still images of 12 MP with enhanced low-light performance on RAW and Wide Dynamic Range (WDR) formats. Voice control has been added to further simplify the use of different functions. The camera has 10 commands in seven different languages, just in case you happen to be hurling down a slope and your hands are busy. So whether you speak English, German, French, Italian, Spanish or Chinese (with more languages on the way), voice control should understand you.